When you've been rocking as long as David Gilmour has, you're bound to accumulate a few guitars between playing in Pink Floyd and managing a solo career. Now, the axeman is set to auction off 120 of his instruments for charity. Gilmour will auction off the guitars through Christie's New York on June 20. Instruments featured in the sale include his iconic black Fender Stratocaster, which he played on Floyd staples "Money," "Shine on You Crazy Diamond" and "Comfortably Numb" — in addition to the 12-string on which he wrote "Wish You Were Here." 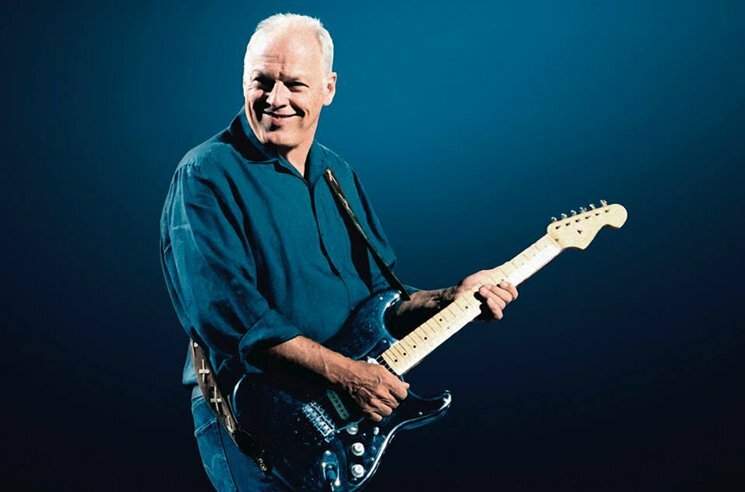 "These guitars have been very good to me," Gilmour told Rolling Stone. "They're my friends. They have given me lots of music. I just think it's time that they went off and served someone else. I have had my time with them. And of course the money that they will raise will do an enormous amount of good in the world, and that is my intention." As for the funds raised, the auction's proceeds will benefit Gilmour's own long-running charitable foundation. "The money will be going to the larger needs of famine relief, homelessness and displacement of people throughout the world," he explained. "We are going to work on the best way and the best balance of making what this raises do as much good on this planet as it can." You know something? For me, I can let go of it. It's going to bring a lot of people to have a look at this sale, and it's going to do that job. It's a lovely guitar. It has been on pretty much all the Pink Floyd albums through the '70s. It's on Meddle, Dark Side of the Moon, Wish You Were Here, Animals, The Wall. I did my "Comfortably Numb" solo on it. The notes for the beginning of "Shine on You Crazy Diamond" fell out of it one day. It's on so much stuff, but Fender have made replica ones that they sell, and I have two or three of those that are absolutely perfect. One of those might be my future guitar of choice or even, horror of horror, maybe I'll even change the colour. Ahead of the auction, Gilmour's guitars will be displayed as part of a global tour for the collection, which will launch at Christie's King Street in London on March 27 before stops in Los Angeles and New York. Further details can be found here.